Beatrice Harraden (1864-1936) was a British writer and suffragette. 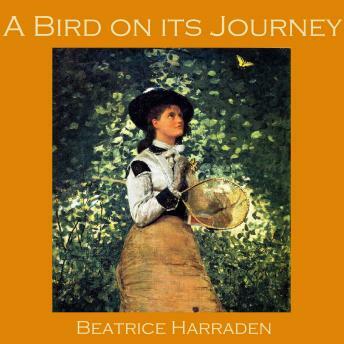 "A Bird on its Journey" is the story of a mysterious young Englishwoman hiking alone through Switzerland. When she arrives at a mountain hotel, she discovers that the piano is badly out of tune. The young woman - although she is travelling with only a small knapsack, has brought with her a tuning hammer and she proceeds to tune the piano. The rest of the snobbish English guests assume that the girl is indeed a piano tuner and as a result they ignore her and consider her impertinent and unfeminine. But the girl has a secret and she soon has her revenge on the party.